Below you will find a step by step guide on how to get estrogen replacement prescriptions. You will discover that it is a very simple process. Call Greenberg Health toll free for a complimentary first consultation with our experts. You will speak with our talented and skilled clinical advisors. They are here to help you talk about your personal situation and they listen with compassion and understanding. We know what it is like to feel down and unhealthy due to depleting hormones due to aging. We talk to people like you every day, all day long and help them to decide if hormone replacement therapy (HRT) is right for them or not. During our first call, we will ask questions about your symptoms and what you expect to gain from therapy. Then we will share everything about HRT with you and answer all of your questions. If you are committed to learning about how to get estrogen therapy prescription, we will tell you all there is to know. We want our clients to be successful and to get the best benefits possible from this remarkable kind of natural estrogen replacement therapy to look and feel great again. This is why we take our time during this initial phone call; to educate you and to give you a good understanding as to what is involved in HRT. We will answer questions such from how estrogen replacement works to help relieve and eliminate symptoms to the estrogen therapy prescription cost. Some questions our prospective patients ask may not be easy to answer without knowing their full history and what they will need, but we will do our best and give honest and forthright answers to all inquiries. We want you to be educated. That is how you get the best results with us behind you the entire time. The only way to be able to participate in HRT is to have a hormonal deficiency that is confirmed through blood work. Greenberg Health works only with those over 30 who have bona fide depletions in their hormones due to the aging process. We require that blood testing is completed and that our patients get a physical exam and share their medical history. So, after the initial phone consultation is completed, if both the clinical advisor and the patient agree that continuing on is best for the client, he or she will get set up with an appointment in a local clinic. This is where they will get their blood drawn and get a physical exam completed. Why do we require all this medical information in order for our doctors to be able to legally and safely write a prescription for estrogen therapy? It would most likely only be detrimental to a person to use estrogen and/or any other hormone medication if their levels were already high and balanced correctly. This is why we must test the blood to see where hormone level ranges are in the blood stream. We will find out if they are too low and if so, we can put together the perfect plan for that patient in order to raise levels and balance them correctly. Our doctors work very diligently to get prescriptions right. It is imperative that they be accurate in order to avoid negative side effects. Patients must be patient and cooperative through the process. 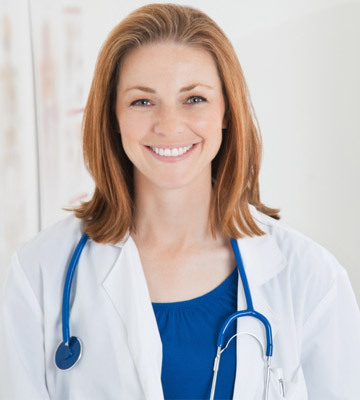 We require a physical exam and a medical history because it is important to know that a person is otherwise healthy before they go onto a hormone replacement therapy program. If there are other causes for their symptoms, these must be dealt with first and foremost before HRT. We never want to get in the way of a more serious matter if it is the primary problem causing issues for a patient. Our exams will help to determine if you are a good candidate for HRT. In essence, you are just waiting in this last step for our professionals to get your test results and your medical information back from the clinic that tested for them. When they get your information, our doctors will intensely analyze every piece of data they get about your health condition. They need to do this in order to write the most accurate prescription for estrogen therapy medications. This is how you will do best in therapy; when you have the right prescription to balance your hormones. It is when hormones are out of balance that we start to feel lethargic, weak, depressed, forgetful, unattractive and more. To beat these symptoms that also include low to no sexual libido and thinning, brittle bones and sagging and wrinkling skin, we can opt for HRT. This is when we will become alive again. Yes, you must get a prescription for estrogen hormone therapy. That is in order for it to be safe and legal. Non-prescription estrogen therapy is never a good idea for your health and it is against the law. We can never tell people what to do; however, here at Greenberg Health, we advocate for good health, following the law and doing the best job that we can for our patients. That means we treat each and every client with dignity, respect and give them an education on healthy living. We will never write an estrogen therapy prescription for a person who is not in need of one according to their blood work. Many times, people who cannot get legal prescriptions for hormones will turn to unauthorized and unprofessional companies, clinics or people to get the medications anyway. This is never recommended and it is also illegal and dangerous. It is never safe to partake in estrogen replacement therapy without getting tested and getting an estrogen therapy prescription. It is not safe, nor is it legal according to US law. One should always be medically monitored when taking any hormone as a replacement to what they have naturally lost. Having a licensed doctor on your side monitoring your progress in therapy gives a patient the confidence of knowing that they will be safe from harm. If a prescription needs adjusting because a patient is feeling some negative side effect or two, this can be done when under supervision. If a person gets medications from the black online market, from overseas, or even from places local to them that do not test, do not know if a person needs hormone replacement, who may not give the right medication(s), medication mixture or dosages, that person could be put into a very risky situation. It is not worth hurting your health in possibly some very serious ways by undergoing HRT without an estrogen therapy prescription. Do not do it.